Everyone who knows me knows that I love makeup and saving money, where do these two things combine DUTY FREE !!! 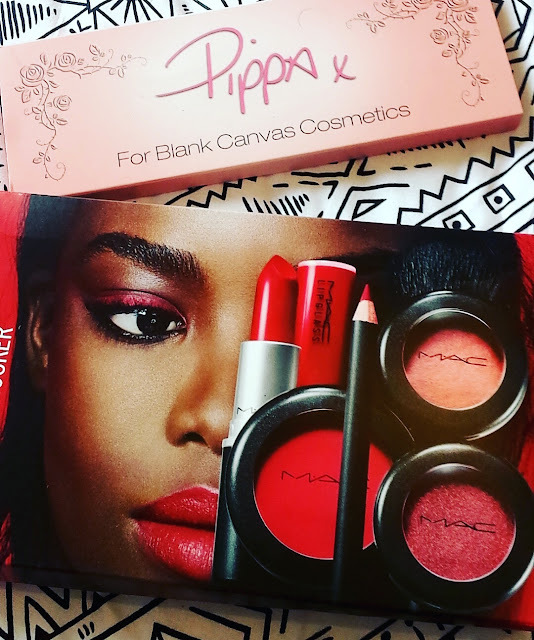 Yes this post is all about the two purchases I made in duty free on my latest trip to Turkey. The first is Victoria secret fragrance mists and the second is Mac look in a box kit. Right from the start I loved both and had to restrain myself from buying more. First of all they smell amazing !! They are super sweet and perfect for summer. they are actually quite big bottles for the price so really good value. 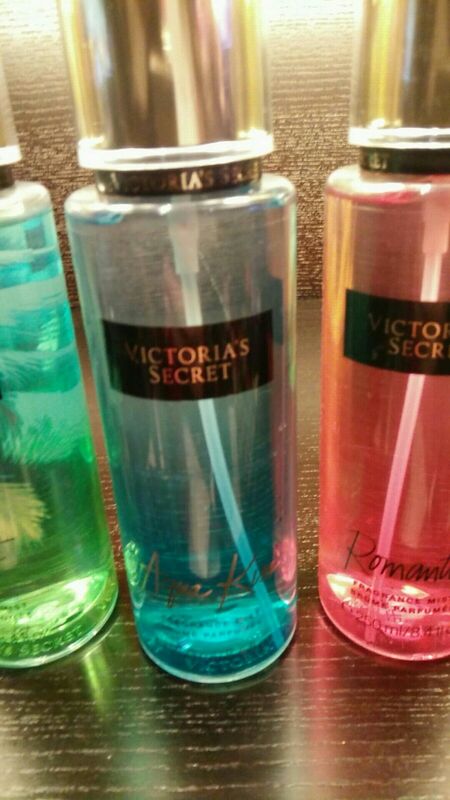 They are fragrance mists not perfume that's why they are cheaper but to be honest there isn't really any difference. perfumes tend to last longer but are around 50 euro to buy. I prefer to buy the fragrance mists and just apply it again later in the day. McCabes chemistry started selling the mists and the lotions about two months ago for 11.95 each. They retail 3 for 30 euro in the duty free so that's a saving of almost 6 euro. Its not a lot if you just buy the three but I usually buy a few extra to keep for Christmas presents so that can add up. Mac look in a box. This is one of my favourite purchases in a long time. It is only available from Mac online stores or in duty free. It costs 60 euro but it is worth about 170 euro. So that's amazing savings. 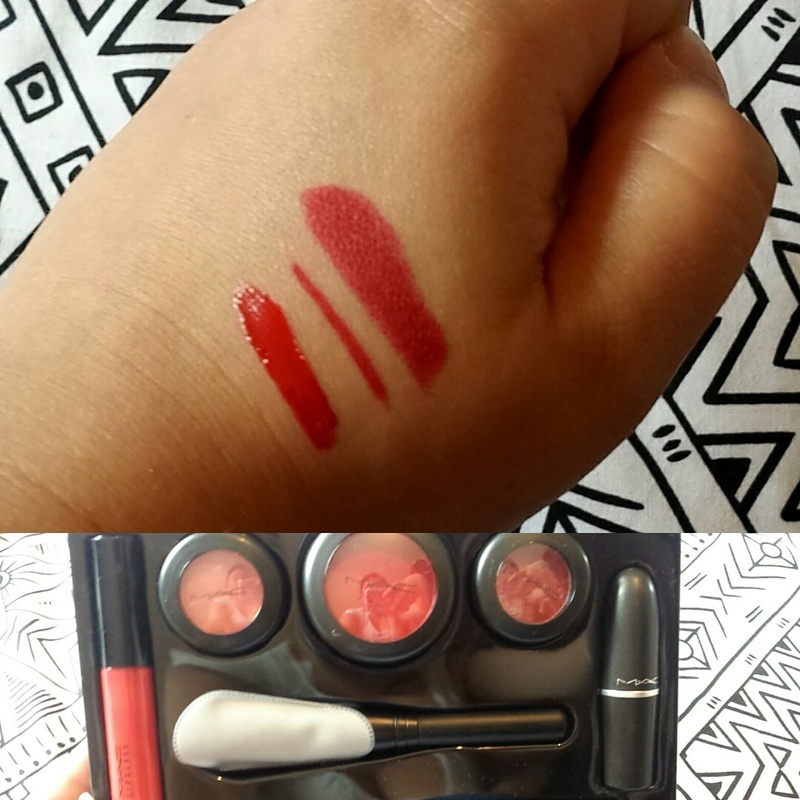 It includes 6 full size products, a lip gloss, lip liner, lipstick, two eyeshadows and a blush. it also includes a small blush brush. 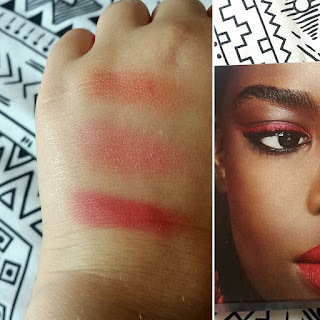 All products swatch amazingly. Mac products are super long lasting and wont come off until you take them off. The lip gloss is very sticky tho so do not wear this on a windy day or you will be pulling your hair off your lips all day. Left to right. Russian red lip gloss. Cherry lip liner. Russian red lipstick in matte. There are about four different boxes the one I got was all red products there is also a neutral box. I love all the colours in this box but I would not use all the products together. For an everyday look or if your not adventurous I would only do the lips. The eyeshadows are vividly bright colours so would suit a night time look better. Top to bottom. Pepper and spice eyeshadow. Got heart eyeshadow. Apple red blush. 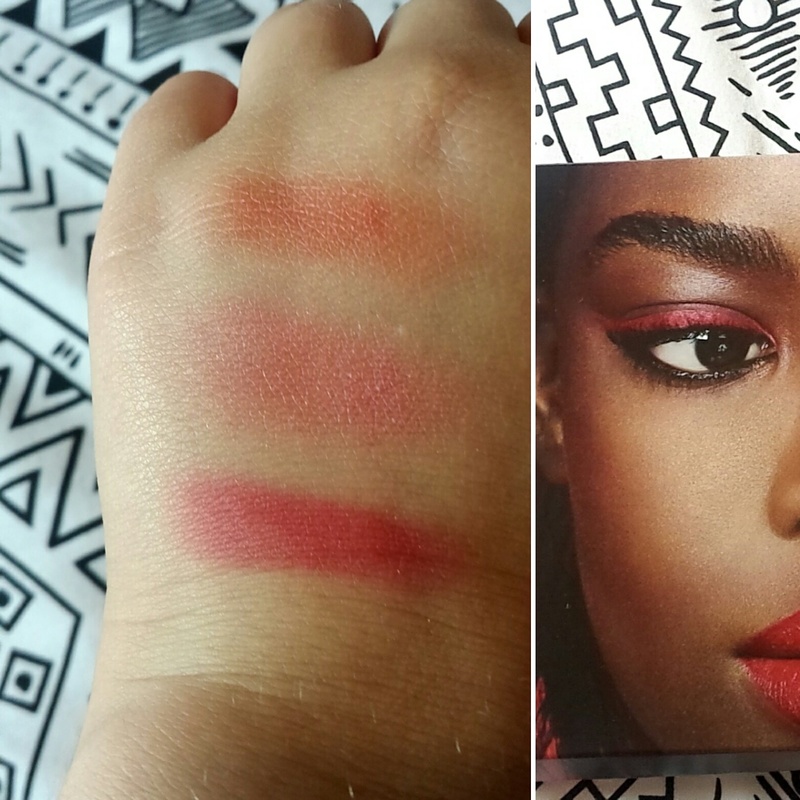 This is the look I got using the Russian red lipstick which is matte and the cherry lip liner. I love this look a bold lip. You can wear a plain outfit an still look dressed up by using a big statement necklace or a bright coloured lip. Sometimes it can feel like you are drowning in college work, study and trying to have a life. I know how stressful it can be trying to get your college life sorted, you only have three weeks until your exams and so much to study and do and you just cant get motivated to do any actual work right ! Well fear not I have some easy tips to help get you motivated to do all the work you have long been trying to avoid. 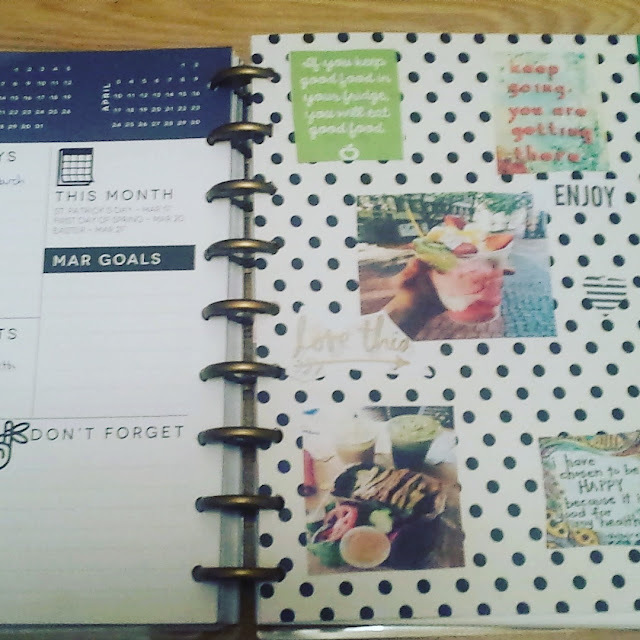 Get a diary and label exactly when your exams are, deadlines for assignments and projects etc. Trust me seeing it wrote down on paper will not only make sure you don't forget anything but will also help you visualize the amount of work to be done. Once you have all your assignments and exams wrote down, you can then make a study plan. 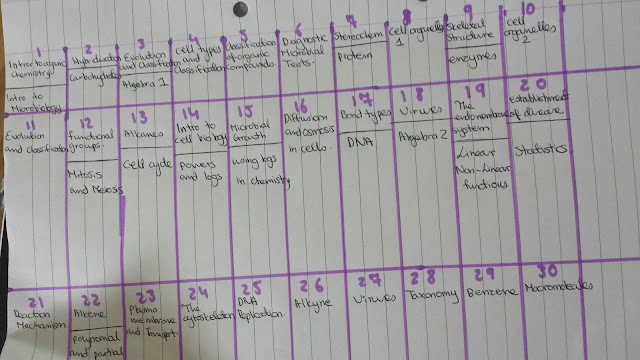 Refer to my earlier post labelled ' How to make a killer study plan ' . This should only be used for study not for assignments. Do not leave everything until the last minute ! This will just create more stress and lead to sloppy work. Write down a day you plan to do this assignment you should pick a day you are not too busy and leave a few days in between in case something comes up. You should also list down any extra materials or notes you might need to get for the assignment. If you want help writing an essay check out my earlier post ' how to write an A+ essay ' . Each subject should have its own folder for you to put your class notes in eg. Chemistry. Chemistry is my core subject so I have two modules split between semester one and two. I like to keep my notes from both modules in the one folder but separated by a divider. 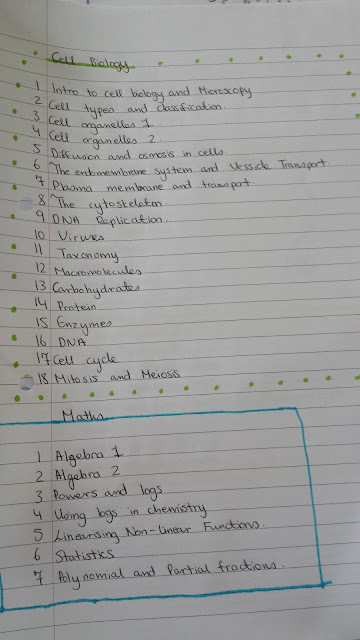 I also put anything else relevant to that subject in the folder and divide them into sections, such as past exam papers, tutorial questions and answers. A study plan makes life so much easier. Without a study plan your just winging it and trust me you will leave topics out. Once you see what you have to do written out it will give you the motivation you need to start studying. Write down all topics for each class. Write out a calendar with exactly how many days you have left. Lets say you have 60 topics to cover and 30 days left before your exam. That means you have two topics to cover each day. These two topics should be from two different subjects and ideally one hard and one easy topic. Try to study harder material first. This way you can go over these again at the end. Its much harder to study hard material closer to exams because you will be stressed. 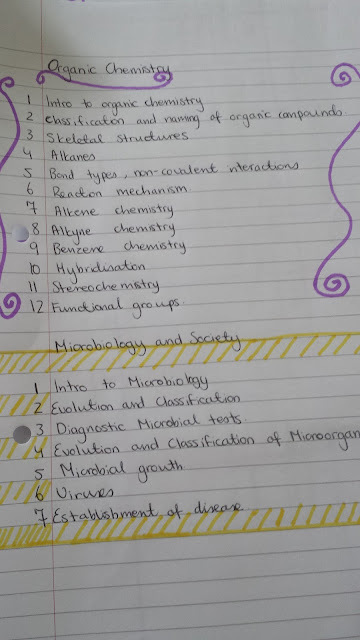 Highlight each topic you finish. This way you can see how much you have covered already. Tips for saving money your first year in college. The first year of college can be sooo expensive. With tuition and books and student living, its crazy how much you spend. The list below are tips I wish I knew when I was starting college. Hopefully they will save you some money and make your life just that little bit easier. Did you know you are entitled to a free microsoft office package as part of your tuition ask your college how to set it up. I definitely didn't know this and it could have saved me up to 90 euro. That is a huge amount of savings and extra savings means extra spends for you. reading lists are a guideline do not run out and buy every book your lecturers mention. So many people do this every year and it is such an expensive mistake. The only book I would ever recommend getting is a book that will cover you for all four years of college. Your library has at least to hardback copies and two ebook versions of every book. you can borrow books from your college library but you may have to wait a while for it to become available. Some colleges will let you photocopy and a few pages from the book if your only looking for a specific chapter but you would have to check with your college policy first. Alternatively if you are part of a study group you could all pitch in and buy a book together. This system works best if there are less than four people in a group tho. A lot of colleges like mine have extra classes to help students who may be struggling in first year. These classes are provided for first year students only and include academic writing, chemistry and mathematics. These classes are completely free of charge and can really help anyone who may be having trouble keeping up with some topics. Some colleges in Ireland have an access and civic engagement center which can help students who may be struggling financially. Science students like me can spend a huge amount of money their first week of college, for each laboratory I have I need certain books, equipment and a lab coat. I didn't realize when I was in college that the student access programme can help with some of these costs. Bring your own lunch to college yes this can seem very obvious but everyone makes this mistake at the start of college. You want to try the canteen and go out to lunch with your new friends but you will soon realize that this is a big expense that can be avoided. Plus you are more likely to choose a healthier option when you make your own lunch. 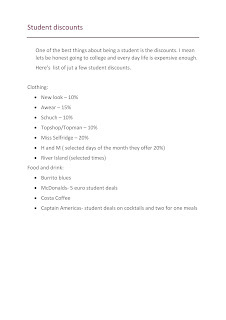 Alternatively if you like eating out or don't have the time to make lunch check what restaurants and shops do student discounts and only shop there. 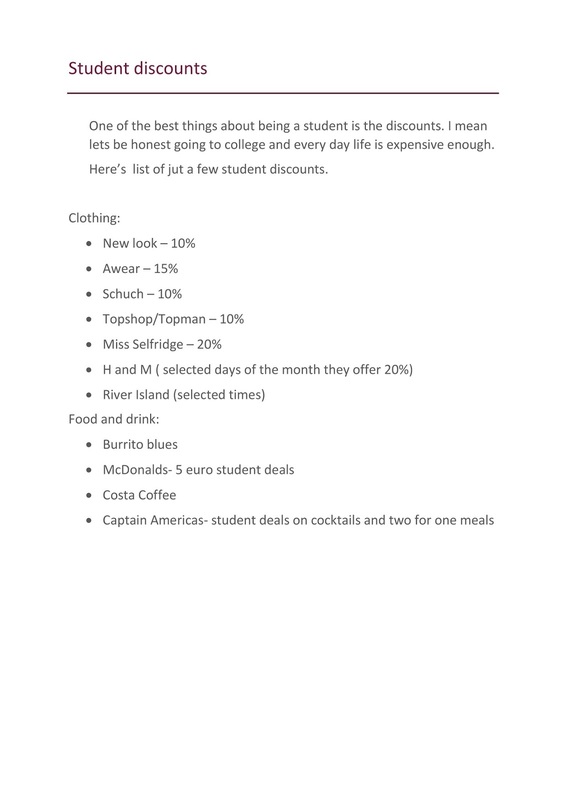 I have a post with a list of restaurants and shops which do student discounts. The best thing you can do to save money is to make sure you choose the course you really want. Don't pick a course your not interested in or because its your parents choice.You will not have the interest and you will eventually change course or drop out this can cause thousands in expense. Alternate routes to college - Access Foundation Programme. This is the second part of the two part series showing alternate routes to college. If you haven't already check out my previous post about FETAC courses. The main differences between these two routes is that you gain a place on a course of your choice based on your effort in the Access programme and FETAC works on a grading system. Each module you pass counts towards you gaining entry to a third level institute. So if final exams are not your thing this route my work better for you. And don't be afraid to check out every possible route. This post was written by my friend Eric who studies computer science infrastructure at Dublin Institute of Technology. This is his experience as a Access student and how he feels it benefited him. After being out of education for over 8 years and fed up working in retail I decided to return to education and pursue a career in something that would guarantee me happiness. I first heard about the access programme through DIT’s website, however at the time I couldn’t find much information on the modules. So I have decided to write this article to help you understand what it’s all about. Hesitant and thinking I was going to stick out like a sore thumb, I started the AFP and from day one on my journey to 3rd level education I found exactly what I was looking for. I felt extremely excited about education once again. The students whom accompanied me on the course were all great people. Everybody were from all different kinds of backgrounds. It was great to meet such a fantastic bunch of people. Especially the lecturers, who I must commend for their amazing work and patience. The Access Foundation Programme (AFP), is a programme aimed at people from disadvantaged backgrounds. It is also aimed at people who never really got a shot at college. The philosophy of the Access Programme is to assist you in getting to a high standard of academic student and preparing for college., And boy did they do that. You take 6 core subjects which are applied writing, maths, intro to higher education, Experiential learning communications and IT fundamentals. And two elective modules which ranged from sciences, business, art portfolio, social science and computer science. I can only recall my experience with each module as tough, but extremely awarding. This is taught by a top class lecturer who had a fantastic relationship with his students. This subject was superbly focused on understanding and practicing academic writing. Especially for anybody who has been out of practice with reading or writing. This was a module that not only prepped me for my degree but was a subject that helped me understand that there is a lot more to just reading and writing. Again taught by a fantastic lecturer who had nothing but patience and great teaching skills to teach the class. The type of maths was aimed for people entering engineering but also included everyday maths. Touching off topics such as algebra, trig and calculus. Was exactly that. Computers are now an integral part of life and especially for anybody entering college it is important to know how to create PowerPoint slides, essay templates. Excel spreadsheets and even some Photoshop. This was aimed at people of all levels of IT skills and was pretty much an ECDL course all wrapped up. A very important module and one that definitely prepared me for my degree. The Module teaches you all about soft skills. Learn how to present, public speaking and body language. One of the final assignments was to do a presentation on your degree programme you wanted to go on to study. Which proved to be entertaining and extremely helpful. This was a fantastic module and ensures a class A prepared 3rd level student. This module is taught by an extremely knowledgeable lecturer. You learn the fundamentals on how to set goals, understand your type of intelligence and even write blogs among many other things. This module is very underrated. One of the assignments was to go and research what degree you wanted to progress into. It's a fact that 40 percent of 3rd level students in Ireland drop out due to not researching what their degree programme is all about this module demystified this and makes you go into depth on what your degree programme is all about. Is a fun and different experience. This was a year-long module. I actually went into college thinking I wanted to peruse an art and design degree, but found another passion while I was on the course. Again another beauty about the AFP, it will show you many aspects of college and help you focus and discover what you are truly good at. By the end of the year I had completed an art portfolio and got offered places onto other art and design degree courses. I never really understood this until I began studying it. I had a fantastic lecturer who was extremely passionate and knowledgeable about the subject. The course covered all of the major areas in computer science. Programming, Networking, Web development and Information Technology. This module was a particular interest of mine in which I went on to study my degree in. My overall experience of the Access Foundation Programme was truly amazing. I probably wouldn't be in college or studying what I found to be good it if it weren’t for the programme. This programme has helped me understand and progress into being a confident and successful student. It has put me spades ahead of many first years starting out. It taught me the most important principles in College and I highly recommend it to anybody. It can feel soooo over whelming trying to choose what you want to study in college. I mean there are endless options of courses and colleges and they all seem identical right ? I go to Dublin Institute of Technology and study chemical science and medicinal chemistry. This is a look at a typical 1st year science students day. Science is not for the faint hearted, its long hours hard work but if its what you really enjoy it can be a lot of fun. This is a look at my timetable but this is typical of any science degree. At 18 most people are graduating school and looking towards college. Or you could be older maybe a mature student looking to go back to education. What most people don't realize is that their is more than one way into college. Most people apply through the CAO system and hope that they get the points they need for their chosen course, but its always a good idea to have a backup. FETAC and access programme's are a good backup but they are also and excellent education in their own right. That's why I am going to explain to you exactly what these two options are and how they benefit you. This is part of my alternate routes to college series. Part one is my about my experience as a FETAC student and how I feel it benefited me. Part two is my friend Erik Strong who will explain his experience as an access student. When I left school I decided to attend a FETAC course. I was interested in pursuing an education in science but only had experience in biology, so I decided to do a 1 year course in pre-university science. This was the best decision I have ever made ! I studied all the basic science subjects and some extras. I studied maths, chemistry, physics, biology, IT, communications and laboratory techniques. Some subjects were harder than others but I will give you a general run down of what we studied in each class. This involved the same topics studied in leaving cert mathematics and some extra topics such as logarithms and advanced algebra. Basically the entire leaving cert curriculum, so general and organic chemistry and laboratory's. For me and most of my class this was the hardest subject ! In particular the lab components of this module are extremely tough especially if you've never done physics before but its not impossible if you put the hard work in. This module provided students with the necessary computer skills for essays, projects and presentations, such as Microsoft office and power point. Not a typical science subject but essential in my point of view. In this class we learned how to do presentations, how to write CV's and other essentials. Another basic module, we learned about plant structure and reproduction, the human structure and reproduction, bacteria etc. This also involved a laboratory component. This was my favourite class ! It didn't actually have any lectures just labs. The labs were the best experience I have ever gained. It included some really cool experiments from testing for HIV to tracking a disease and finally a huge project on water contamination in your local river. I mean if you are in anyway interested in science this is the subject you want to study. The skills and experience I received from this course set me above the rest of my class in laboratory work when I went into my level 8 degree. I was used to using alt more equipment in labs than most of my class. The class sizes were also a lot smaller (about 20-30 people) than you would find in an institute or university (200-300 people). This meant the lecturer's knew each student personally and students got more help if they needed it. People who do not have a leaving certificate qualification. Students that do not receive enough points for their chosen CAO course. Students who want a hands on practical experience and more education on certain topics. If you are a mature student who is nervous about getting back to education. If you are under 18 and your not ready to go to university. If you have any questions feel free to comment below.. When you go to college you will be bombarded with essays and assignments and it can seem very scary at first especially if you have never done any before. But once you get the hang of it they are really quite repetitive. There are a few different ways of doing things depending on what degree you are doing. This is a format that works for me but don't worry if you try this and it dosn't feel like its working for you. Try looking up Pinterest there are tons of really helpful blog posts on there too. The biggest tip I have for people who have never done essays before is don't be afraid to ask for help. You could ask your lecturers what in particular they would like to see in their essay, I recommend doing this for every lecturer you have as they will all look for something different. Also ask a 2nd year they have done your course and know what worked for them. This is step no.1 because it is the most important part of your essay ! Again depending on what course you study and the country you are in you may have different referencing systems. You have got to reference were you get your information and any pictures or diagrams that you used. If you don't its referred to as plagiarism ( basically you stole someone else's work ) this is a huge no no and comes with really severe consequences. So before you start anything make sure you know what referencing style your going to use. First of all you need a title. Your title should clearly identify what your essay is trying to prove. It should be one clear sentence and not any longer. The introduction should tell the reader exactly what you are testing, a small amount of background theory and weather of not you have proven your theory. The body of the text should show any evidence, you should remain objective. You also include any research you have done. Your conclusion should summarize exactly what you have talked about throughout the essay. Restate your theory and show if you have proven it. You should be taking notes of all the books and journals you are taking information from as you go along. At the end of the essay you should have a page dedicated to every bit of information you have referenced and where you got that information from. •One of the best things about being a student is the discounts. I mean lets be honest going to college and every day life is expensive enough.Here’s list of jut a few student discounts. My blog is all about helping students in college and students going into college. 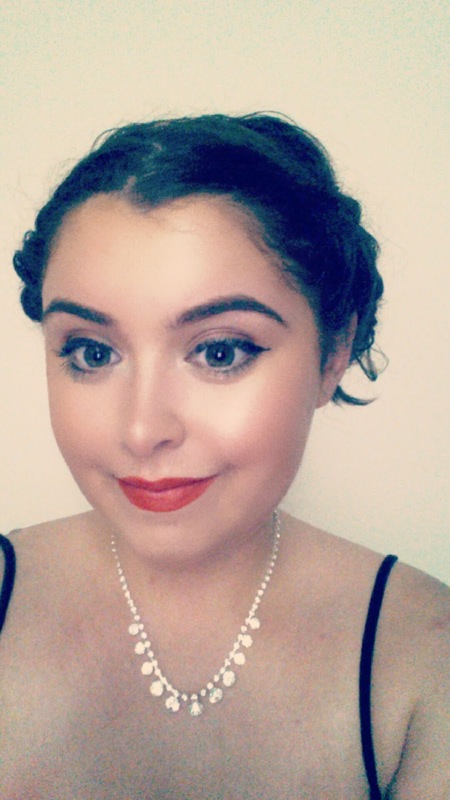 I have a wide variety of interests so there are some makeup, fashion and other blog posts but all related to student life. Why you should join a society ?